"Your complaint regarding the actions of Ohio State University Trustees and Administration in the firing of OSU Marching Band Director Jon Waters has been received by the Office of the Ohio Inspector General...The Office of the Inspector General remains dedicated to the principle that no public servant, regardless of rank or position, is above the law." 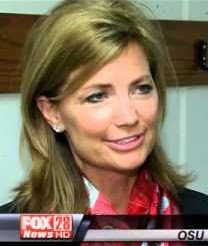 failure to disclose that she took campaign contributions from Woodrow A. Myers, a Stanford alumni crony of OSU President Michael V. Drake, starting in 2006. AFI has also received confirmation that complaints have been filed with the Disciplinary Council of the Supreme Court of Ohio against the OSU Trustees and staff whose licenses to practice law require them to uphold high ethical standards in all their activities. The complaints highlight several pages of failures to follow their ethical Rules of Professional Conduct in their mistreatment of Jon Waters. 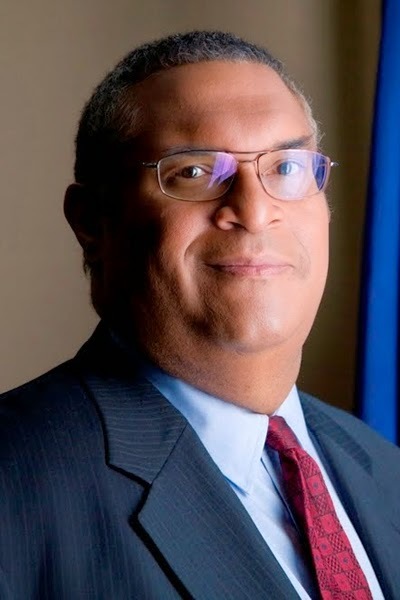 They also point out that district court judge Algernon L. Marbley, who along with U.S. Attorney General Eric H. Holder formerly employed Chris Glaros, author of the discredited "Glaros Report," receives pay from Ohio State as an instructor in violation of Ohio law. However, the complaint rules require that complaints be confidential. Therefore, we will not post the individual complaints about these public officials. Click here to read a generic template. Fig. A—Jon Waters, (Former) Director, The Ohio State University Marching Band sues Ohio State for violation of due process. Godspeed. Jon Waters today sued Ohio State for violation of due process and wants his job back. TBDBITL alums pledge continued support for reinstatement. Leader Technologies founder, Michael McKibben, praises Waters and his team for standing firm. He says the attack on Waters smoked out other corruption that led Leader to discover the duplicity of OSU Trustees Jeffrey Wadsworth and Alex R. Fischer at Battelle Memorial Institute and Lawrence Livermore National Laboratory that, in turn, led to the theft of his invention of social networking in 2001-2003, which was funneled to Mark Zuckeberg and Wall Street cronies to start Facebook. See NBC4i.com news alert | Click here to read Jon Waters' Complaint (46 pgs., plus 450 pgs. of Exhibits - 32.6MB) | Click here for Waters COMPLAINT ONLY (189K). Fig. B—Abigail Sara (Koppel) Wexner, Trustee, The Ohio State University. Holds a suspended New York law license. Helped fire Jon Waters. Photo: Fox 28 News. Trying to Outrun the Storm? OSU provost Joseph A. Steinmetz (the boss who threw Jon Waters under the bus) loses no time in announcing his coveted MOOC initiative on the heals of his Title IX absolution. The problem is, MOOC (a.k.a. University Innovation Alliance) uses ideas first proposed to Battelle in 2002 (Fig. 5), and the social networking invention of OSU grad Michael McKibben — just ask Battelle's Jeffrey Wadsworth and Trustee Alex R. Fischer. See previous post. Ohio State itself. See comments. New OSU Trustee Abigail S.(Koppel) Wexner's law license is SUSPENDED in New York, yet Wexner's OSU Trustee biography touts her legal background. She was appointed to be a trustee just ten days before Jon Waters was fired. See Comment. More collusion to lock down OSU as a Central Ohio employee MOOC training mill for JPMorgan and Limited Brands who together have approximately 35,000 employees? To what extent is this an attempt to control future Ohio swing-state voters toward the cartel and Wall Street /Silicon Valley interests? Why pick on the OSU band? To brush away Title IX so they can focus on the takeover of Ohio minds? More questions than answers. See disciplinary complaint templates drafted against the OSU Trustees who are attorneys. Any citizen can submit such complaints if they suspect laywer wrongdoing. As many citizens as possible should file their complaint immediately. Consult the Ohio Supreme Court website for more information on attorney discipline. The form they provide is for guidance, but is not required. A signed letter from you should be sufficient. Sep. 21, 2014: JUST PUBLISHED: Template for Ohio Inspector General Complaint against Jeffrey Wadsworth, President, The Ohio State University Trustees. Click here to download the Wadsworth complaint Word template. The U.S. Department of Education issued yesterday a "Resolution" of its Title IX investigation. Suspiciously, the documents spend way too much time on the OSU band and Jon Waters, despite the fact that Waters' previous job performance reviews were glowing. Many of the small number of people interviewed in the "Chris Glaros Report" say they were misrepresented. They feel the report abused them. Almost all of the alleged infractions occurred before Waters was the director. Waters followed university guidelines in handling the complaint cited. No fair representative sampling of the actual band culture occurred (had such a thing ever really been the concern). Glaros himself has a shady political past associated with the lawless Attorney General Eric H. Holder and Facebook Cartel lawyers. It appears that the attack on the band was instigated by the OSU administration itself, without prompting from the U.S. Dept. of Education. 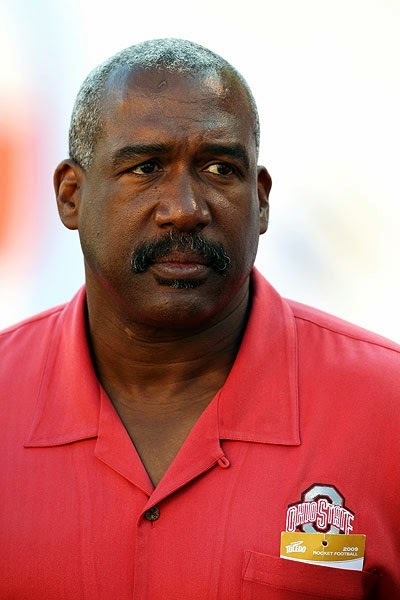 The timing lends further credance to the criticism that the OSU administration chose the band as the scapegoat for other more serious Title IX problems, including at least two investigations of Athletic Director Gene Smith. Click here to see USDOE documents. [Sarcasm Alert!] The OSU Trustees "cover up" appears to be more than the cover up needed for the band's underwear session. Where is the investigation of OSU Trustee President Jeffrey Wadsworth awarding 12 cush OSU contracts to his McBee Strategic lobbying cronies? Where is the investigation of the controversial MOOC (Massive Open Online Course) collusion involving Provost Joseph A. Steinmetz? Steinmetz is the band's boss. 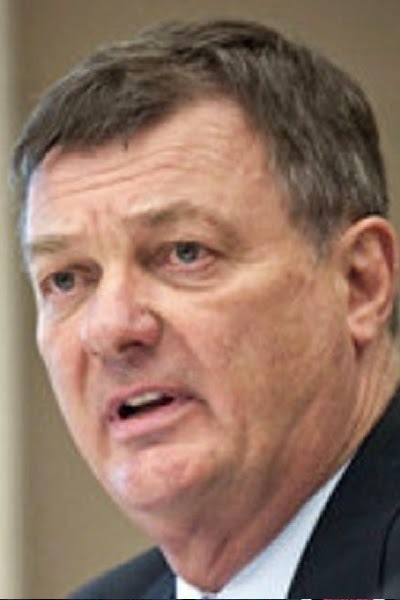 Where is the investigation of the theft of Michael McKibben's social networking invention by OSU Trustees Wadsworth and Alex R. Fischer at Battelle and their secret ties to McKibben's former patent counsel, Professor James P. Chandler III who also advised Glaros, Holder, Battelle, Livermore Labs (Wadsworth's former employer) and OSU Trustee Algernon L. Marbley? Not to mention Governor John Kasich's role in the recent nepotistic appointments of Fischer and attorney Abigail Wexner just 11 days before Waters was fired, and his tight association with and many investments (see below) in Wall Street and Silicon Valley interests through Mark Kvamme. Now those are real scandals that make even Title IX herself blush. Fig. 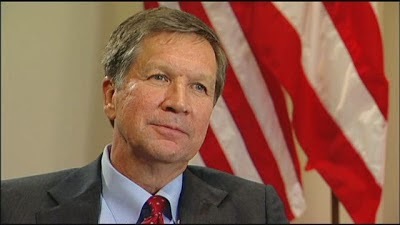 1—John R. Kasich, Governor, State of Ohio. Governor Kasich is up for reelection in 2014. He has appointed many of the Ohio Trustees at the center of the Jon Waters band scandal. AFI investigators have just uncovered substantial Kasich investment holdings in companies allied with OSU Trustee President Jeffrey Wadsworth, Battelle Memorial Institute and Alex R. Fischer. 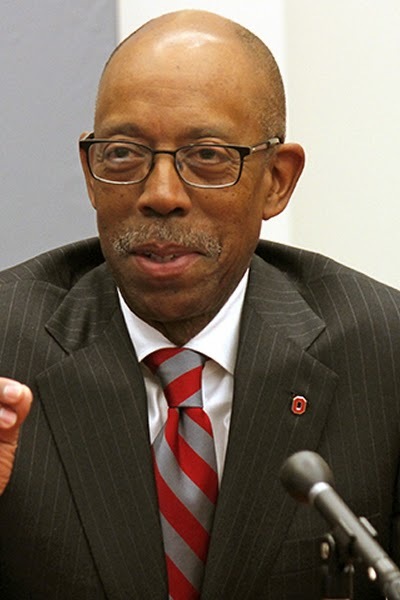 An independent tribunal is needed to determine the level of corruption among the OSU Trustees who mistreated Ohio States highly innovative and much respected band leader, Jonathan Waters. 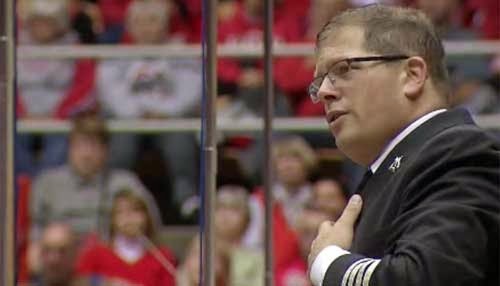 (Sep. 05, 2014)—Suspicions of OSU Trustee and Administration impropriety swirl around the firing of beloved OSU Band leader Jon Waters on Jul. 26, 2014. New evidence reveals that treacherous personal financial interests, and a universal MOOC (Massive Open Online Course) education agenda, are primary motivators for this cartel of actors. Buckeye Nation's outrage shows no signs of subsiding. 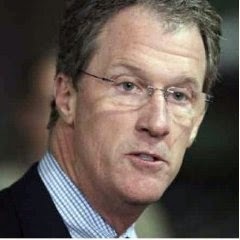 Despite the public outcry, Ohio State Trustees obstinate president, Jeffrey Wadsworth “stands firmly” behind the decision. Questions are now being asked about where Wadsworth gets his authority since Trustees are not executive roles. Some trustees are telling us privately that they did not approve Jon Waters' firing—that such a vote was never taken. If that is true, then Wadsworth's public statements are false. McBee Strategic appears to be driving the bus from Washington, D.C.
AFI was the first to report that the university has awarded at least twelve (12) contracts to clients of McBee Strategic, a chief lobbyist for Jeffrey Wadsworth, President of the OSU Trustees, in his job as CEO of Battelle Memorial Institute. OSU Trustee President; CEO, Battelle Memorial Institute; Dep. Dir. Sci. & Tech., Lawrence Livermore National Laboratory (LLNL); client of McBee Strategic LLC, Facebook’s Cooley Godward LLP partner; signed the CRADA with Leader Technologies and Michael McKibben. Photo: The Columbus Dispatch. 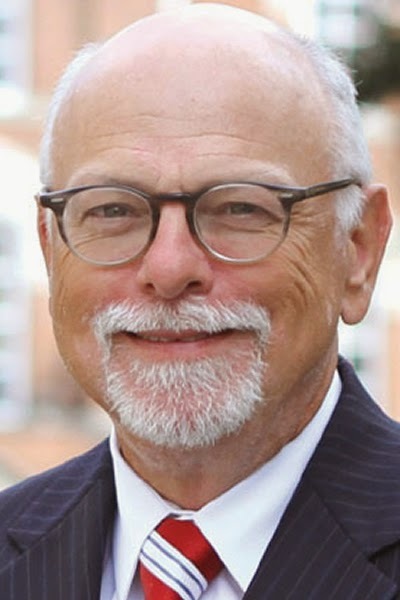 OSU Provost Joseph A. Steinmetz was discovered making a sales pitch for a controversial new MOOC initiative that is heavily promoted by McBee Strategic clients Google, Oracle and the National Venture Capital Association. The Ohio governor appoints Ohio State trustees, and his impartiality is both required and assumed. However, Governor Kasich’s 2013 financial report shows that he is anything but impartial. Governor Kasich knew, or reasonably should have known, about these conflicting holdings, but failed to report them. Since this accusation ("knew, or should have known") was hurled at Jon Waters, turnabout is fair play. Table 1: John R. Kasich financial holdings in OSU Trustee President Jeffrey Wadsworth collaborators. Note: IBM created The Eclipse Foundation in late 2001 with the aid of Columbus-based Leader Technologies' former attorneys, to distribute Leader’ social networking invention which they had just stolen, and which Leader had disclosed to Jeffrey Wadsworth, Livermore Labs (Univ. of Calif.), Alex R. Fischer and Battelle Memorial Institute under firm confidentiality secrecy agreements. See previous posts. OSU President; Stanford Black Alumni award. Photo: The Columbus Dispatch. CMO, Wellpoint, Inc.; former CCO, Anthem Blue Cross Blue Shield; Stanford Black Alumni award; donor to 100's of Ohio politicians. Photo: Stanford. Governor Kasich also has five (5) holdings in Wellpoint, Inc. Incoming OSU President Michael V. Drake’s Stanford associate, Woodrow A. Myers, is chief medical officer at Wellpoint. Wellpoint has donated liberally to Ohio political campaigns starting in 2006. Wellpoint contributed to Betty Montgomery’s 2006 campaign. Despite this evident conflict, the governor and university president appointed their crony, Betty Montgomery, to lead the ongoing Waters investigation into the band's culture. Instead, investigations need to occur immediately into the corrupt culture of the Ohio State trustees and their conflicts of interest with Governor John Kasich. 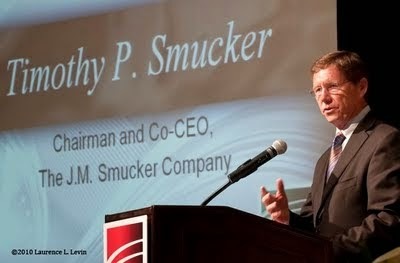 Chairman & Co-CEO, The J. M. Smucker Company; Kasich-appointed Trustee, The Ohio State University; according to Wadsworth and Drake, Smucker approved the firing of Jon Waters as director of The Ohio State University Marching Band. Photo: Levin Photography. Normally squeaky clean Timothy Smucker cannot escape controversy in this matter. 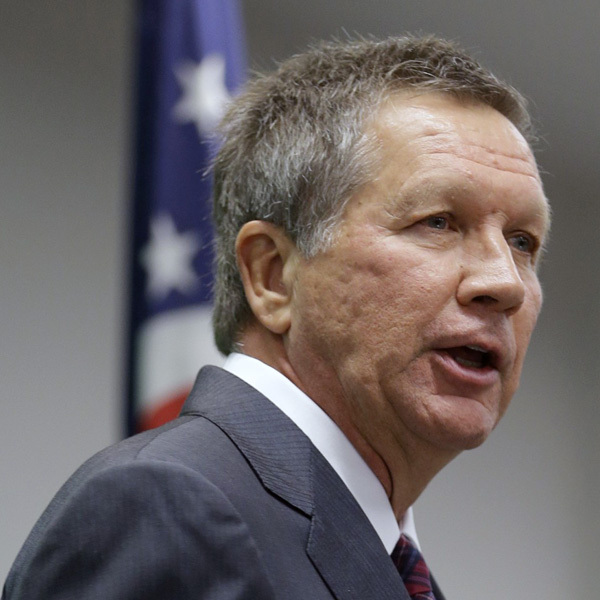 In 2011, Governor Kasich appointed Smucker as an OSU trustee. The governor holds at least two (2) stocks in Smuckers Inc. Timothy Smucker is also a director at Hallmark Cards. Given Governor Kasich’s heavy financial interests in OSU Trustee President Jeffrey Wadsworth’s business associates, his bias in the Jon Waters firing is evident. It appears time for unbiased members of the Ohio legislature to be put in charge of a thorough investigation of the corruption within the Ohio State Board of Trustees exposed by their attack on the Ohio State Marching Band and its director, Jon Waters. John Kasich business adviser and confidante; former director of LinkedIn. Photo: LinkedIn. Remarkably, AFI investigators recognize the cartel of companies into which Governor Kasich has invested. We call them the “Facebook Cartel.” For example, besides the governor’s five (5) investments in Facebook, he holds three (3) investments in LinkedIn, and five (5) investments in Baidu (CHINA) which was funded by this cartel to offer a Chinese social site like Google and Facebook. However, his close yet controversial advisor, Mark Kvamme, is the former director of LinkedIn. Like Wadsworth and Drake, Kvamme too has close ties to the University of California. Curiously, Kvamme came to LinkedIn at the same time that IBM and The Eclipse Foundation were distributing Leader Technologies' stolen invention to their eager "members." These members included Facebook and many members of the National Venture Capital Association when Facebook's first financier and future chairman, James W. Breyer, was chairman. As a reader observed recently, the coincidences involving the theft of Leader Technologies' invention are so many, they are starting to eclipse the sun. OSU Athletic Director. Photo: ESPN. MOOC is the brass ring to influence future Ohio voters; was TBDBITL a political threat as well as a diversion to protect Gene Smith? Facebook, McBee Strategic lobbies for the National Venture Capital Association whose members will make out like bandits when the MOOC learning initiative is fully embraced at Ohio State. MOOC relies on Ohio State graduate Michael McKibben’s invention of social networking as the basis for the technology. 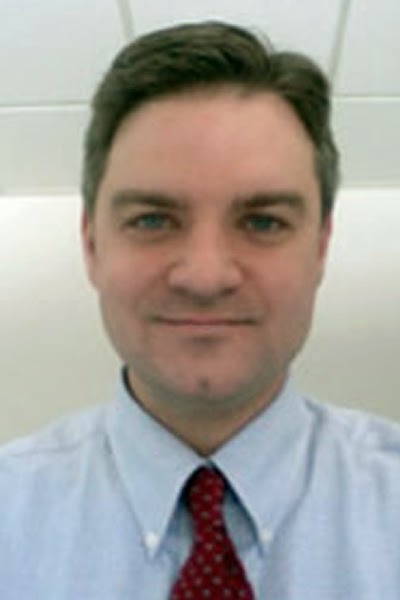 McBee Strategic’s partner is Cooley Godward LLP, Facebook’s attorney in the Leader v. Facebook judicial corruption scandal. Cooley also advised the White House on judicial appointments that switched the judges to an Obama nominee, Leonard P. Stark, just a month before trial. Also significant is that Cooley Godward LLP’s fellow attorney in Leader v. Facebook, Gibson Dunn LLP, was former employer to Chris Glaros, the author of the now discredited Waters Report. See previous two posts. OSU Provost Steinmetz doesn’t promote MOOC so heavily while President of Psychological Science Association for his health. It means money in his pocket, and the pockets of his Facebook Cartel cronies. In conclusion, propriety dictates that Governor John R. Kasich must recuse himself from the OSU Marching Band scandal investigation. Fig. 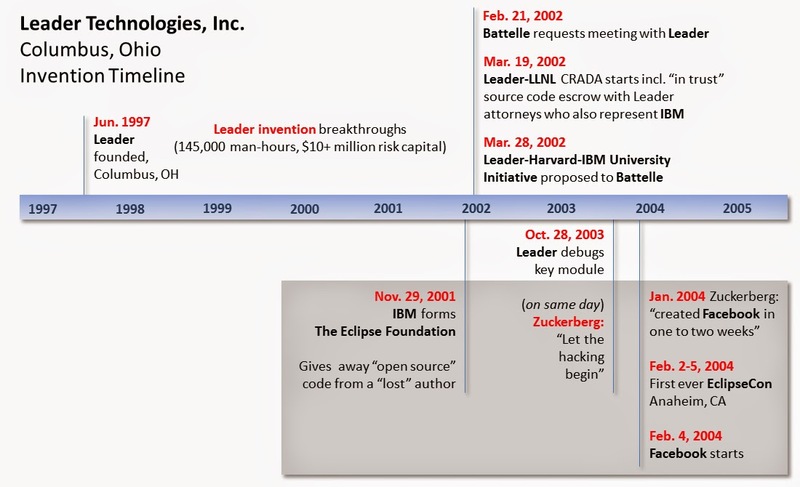 9—Leader Technologies, Inc., columbus, Ohio, Invention Timeline. Invention is difficult to achieve, but easy for predators to copy. Click here to see confirmation that Facebook started (Feb. 4, 2004) during the first ever EclipseCon 2004 conference on Feb. 2-5, 2004 underwritten by IBM with a huge smokescreen of branded hangers on. Fig. 10—The Ohio State University Marching Band 2014 Trailer. This video shows the Waters-conceived animated T-Rex dinosaur (eating a Michigan Wolverine) marching innovation that was included in the Apple iPad commercial that netted the University $30 million, according to ABC News. TBDBITL = "The Best Damn Band In The Land." Source: The Ohio State University; YouTube—http://youtu.be/1NJDV_BmXb8.